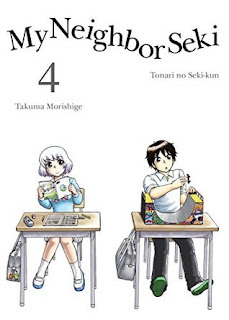 Even the holidays are inspiration for the ever-distracted Seki in My Neighbor Seki Volume 4. 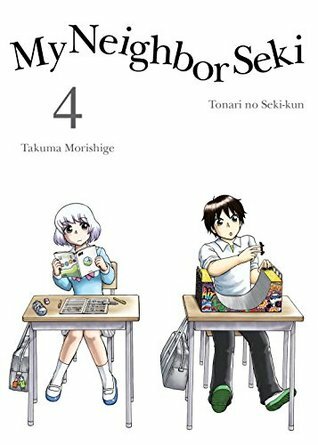 Note: My Neighbor Seki Volume 4 is part of an ongoing series. 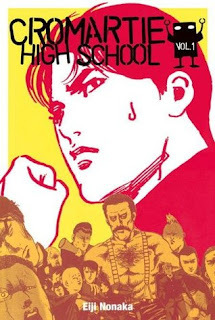 Check out the review for Volume 1 here, and Volume 3 here. Otherwise, read on! Bookstore shelves are packed with books drawing from Western folklore. Elves, fairies, sprites, even selkies have found their way into books recently, especially ones targeting the ever-growing young adult market. Part of writing young adult, it seems, is to not expect too much outside knowledge of the reader going in. It's assumed that readers know about European fantasy creatures, since that's what most of the fairy tales and Disney movies they've grown up on focus on. But once a piece of another culture's folklore hits the public knowledge, it's fair game. Enter Okiku, and The Girl from the Well. Okiku was introduced to most Western audiences in the 2002 movie 'The Ring,' but there's much more to her than popping out of old VHS tapes. In the intervening years, Okiku has moved on from haunting the well where she was killed. She's made it her passion to exact revenge on those who have hurt children, and she has left a trail of gruesome, unsolved murders in her wake. But one day, while drifting around looking for a new victim, she comes across Tarquin. Tark is, in many ways, just an ordinary 15 year old boy. He and his father have just moved, and he's having some of the normal problems fitting in to his new school. He's quiet by nature, so it's hard to get him to come out of his shell. And, well, accidentally summoning a flock of headless birds in the cafeteria might not make him homecoming king either. The problem started when he was very young. Before his mother married his father, she was a shrine maiden who spent her days putting spirits to rest with her sister back in Japan. Later on, during a visit back to the shrine, and exorcism went terribly wrong and the only way to keep the malicious spirit from destroying the town that the shrine protects was to bind it to her young son. The trauma and guilt from that night broke Yoko, and after a few instances of trying to kill Tark and the spirit trapped within him, she's been committed to a mental hospital. Tark's father has been doing his best, trying to balance a demanding job, a mad wife, and a son who understandably has a few issues. And the binding left Tark with tattoo-like symbols covering his arms, hips, and chest, without a mother, and a history of bizarre, alienating events surrounding him. It's no wonder Okiku notices him, and takes an interest. We also get to know Tark's cousin Callie. A teacher's aide at the school he's now attending, they were close when Tark was young, and she feels a bit of a motherly responsibility for her young family member. She knows that he's been having a hard time, especially since they've moved closer to his mother's hospital and there's been a bit more interaction with her, and she wants to do whatever she can to help Tark out. And perhaps figure out what's going on with the strange spirits that have been following him. For as he's growing up, and becoming a less 'pure' vessel, the binding symbols his mother used to shut away the evil spirit have begun to fade. The strange occurrences have become more frequent, and if that spirit escapes, it won't end well for anyone involved. 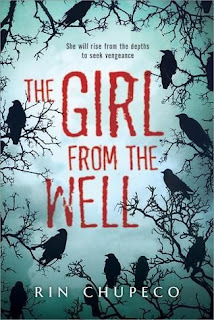 The Girl from the Well doesn't read like a traditional Stephen King horror novel. Like many Japanese novels, it's much more contemplative and slow-building than that. 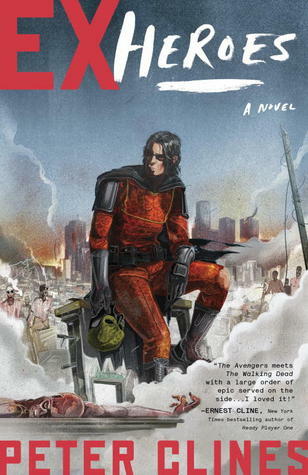 Most of the bad reviews on Goodreads seem to be coming from people who are expecting a different sort of book. This isn't a hack-and-slash, bloody horror novel. 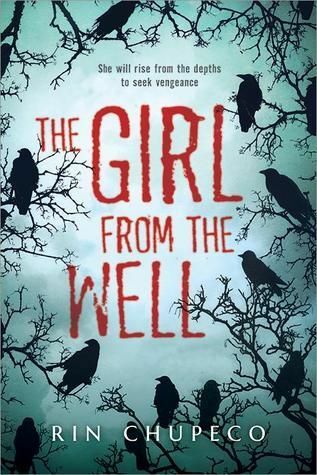 Rather, the creepiness builds as the story progresses and the reader becomes invested in the characters. The tone of the novel rather than graphic imagery is what will keep the reader up at night, either to finish the book or wondering what that shadow behind them in the mirror is. Highs: This is a great starter book for people who aren't too familiar with Japanese folklore, since The Ring was so popular, and can easily spark an interest in other books with Japanese settings. Lows: Once again the father is clueless - bordering on neglectful - and mostly ignored throughout the book. Verdict: A wonderfully creepy young adult horror novel with a distinct East Asian flavor.